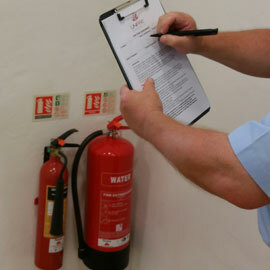 The Regulatory Reform (Fire Safety) Order 2005 applies in England and Wales. The Order covers general fire precautions and other fire safety duties which are needed to protect ‘relevant persons’ in case of fire in and around most ‘premises’. The Order requires fire precautions to be put in place where necessary and to the extent that it is reasonable and practicable. In all other premises the person or people in control of the premises will be responsible. If there is more than one responsible person in any type of premises (e.g. a multi occupied complex), all must take all reasonable steps to co-operate and co-ordinate with each other. If you are the responsible person you must carry out a fire risk assessment which must focus on the safety in case of fire of all ‘relevant persons’. It should pay particular attention to those at special risk, such as disabled people, those who you know have special needs, and children, and must include consideration of any dangerous substance liable to be on the premises. Your fire risk assessment will help you identify risks that can be removed or reduced and decide the general fire precautions you may need to take. We carry out fire risk assessments in schools, commercial premises, leisure facilities, theatres, residential care homes, shops and offices.